Want to create a striking dinner party? The color black is not only unexpected and super stylish, but works for every occasion. So, cross over to the dark side and get on board with the trend that’s taking social media by storm. Black is bold, contemporary, and has the power to redirect your gaze and add a sense of architectural elegance. To give you a head start, we’ve rounded up our favorite black pieces. 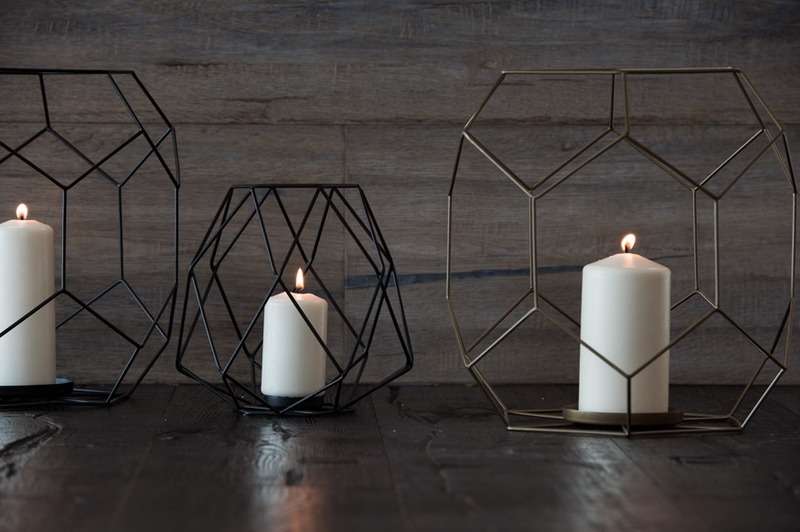 Black Ashkaal Candle Holders make the perfect centerpiece for sophisticated soirees. Curate them into clusters, or run a line of them down the middle of a long table. Our top tip? Use black candles for extra drama. Inject vibrant artistic flair to your table with the Tarateesh Dinner Set. The black calligraphy that runs through the dinner, salad and bread plates may be bold and contemporary, but the classic shapes and unexpected touch of gold will add a sense of luxury to your table. Go for a monochrome theme with your linens for an effortlessly stylish look. 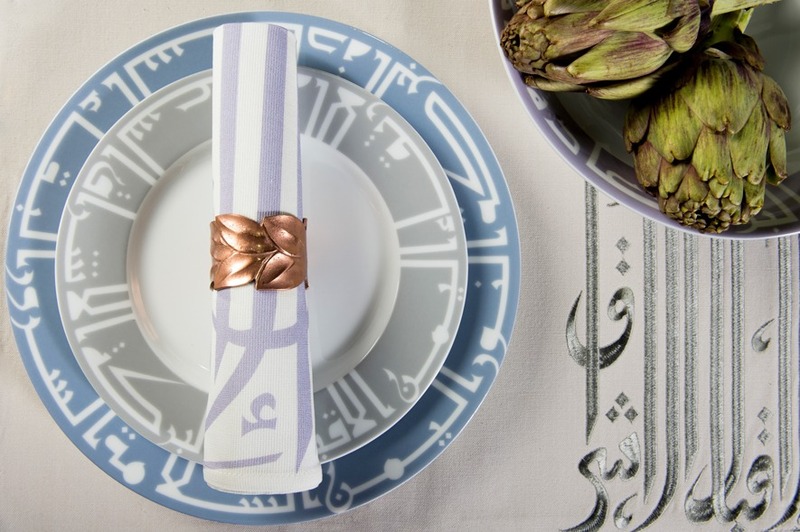 Pair Silsal’s Arabesque Placemats with the Arabesque Napkins for a coordinated affair that will guests will love. 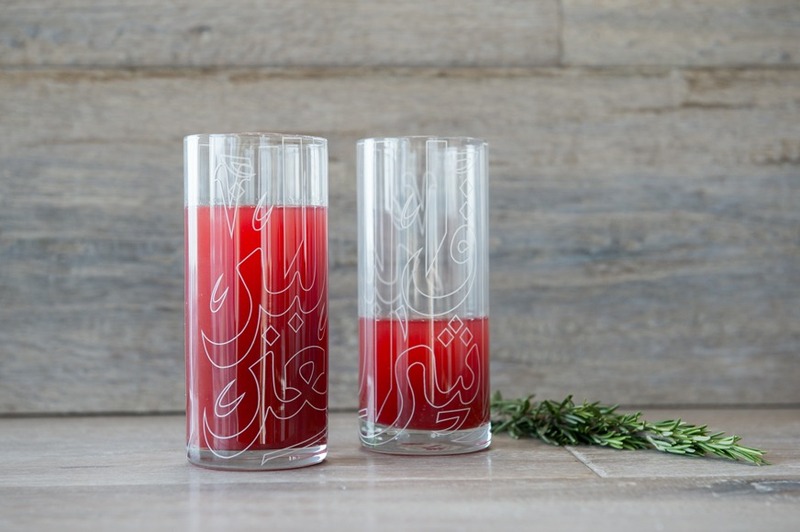 Serve up drinks in precision-tooled Ghida Glasses, which feature striking black calligraphy. They make a beautiful addition for special occasions or everyday use. 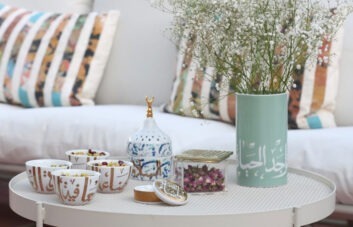 Before serving dinner, let guests nibble on nuts or hors d’oeuvres served up in a Ghida Black Box. 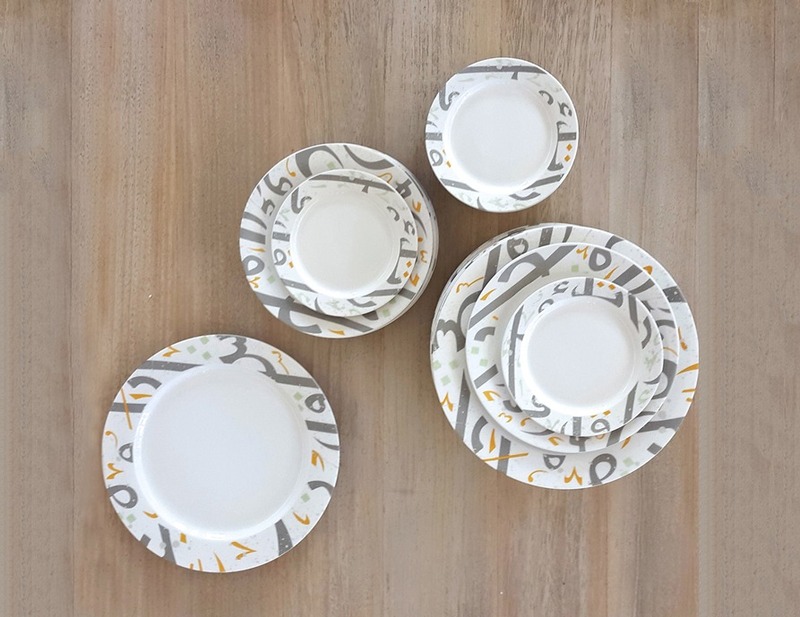 Mix and match sizes to create varied interest on the table. A cigar holder adds an air of elegant finesse to any dining room and is perfect to bring out for dinner parties. The Kufic Cigar Holder is engraved with the words “Al-Ikbal, Al-Salamah, Al-Ishraq, Al-Sa’adah”, which means “Prosperity, Peace, Radiance and Happiness”, in striking black calligraphy. 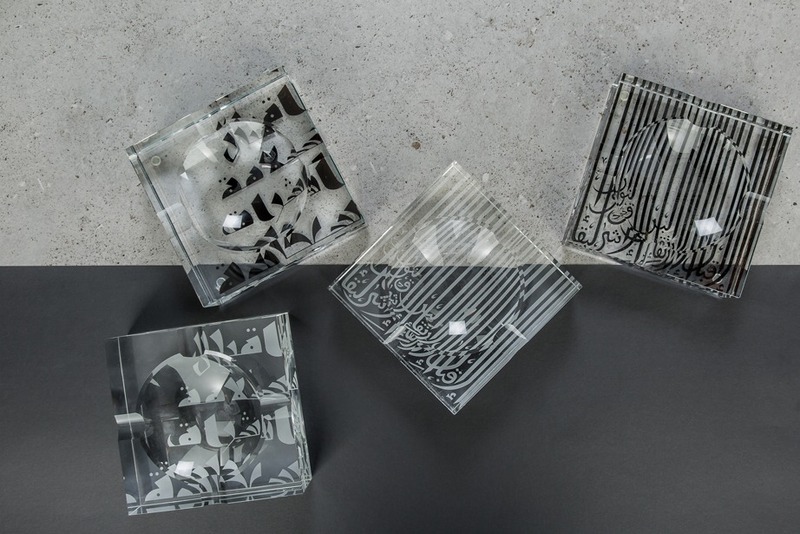 Whether you’re serving up after-dinner coffee or scrumptious nibbles, the acrylic Accents Tray, with its black calligraphy, is perfectly functional and subtly stylish. Curate the perfect coffee moment, with Silsal’s Accents Espresso Cups. 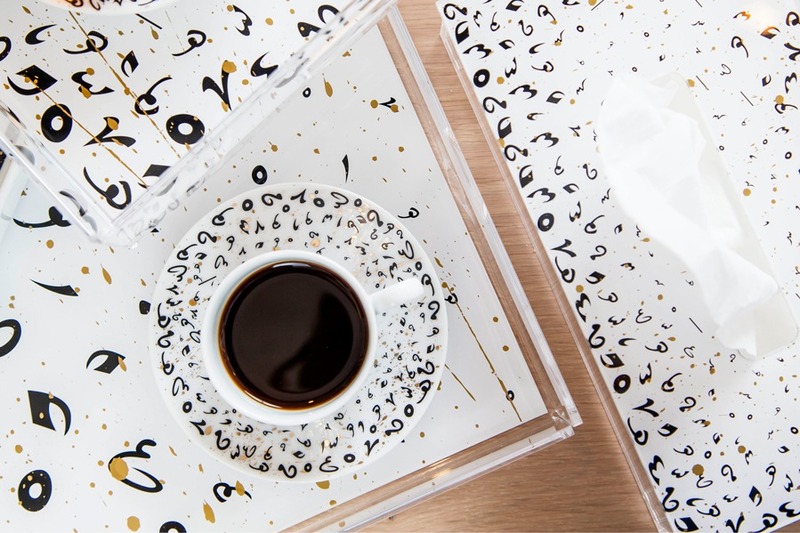 The white porcelain acts as a canvas for sleek black calligraphic accents, and a little gold adds just the right about of glam for dinner parties. 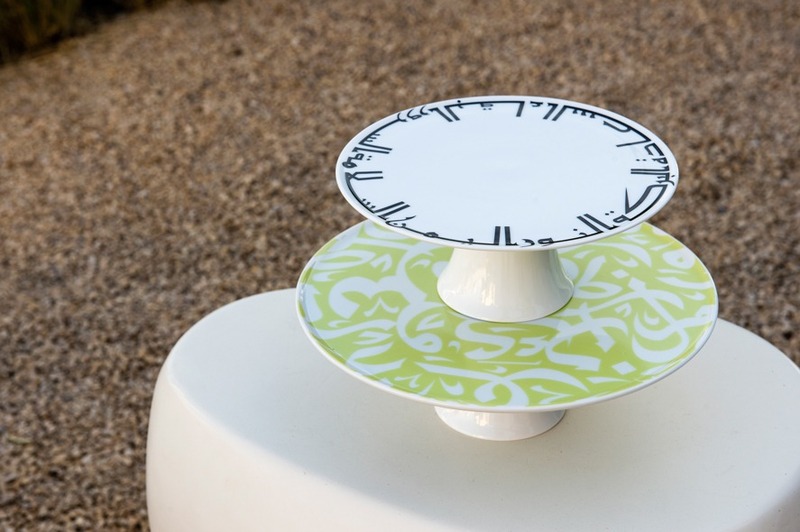 This Kufic Cake Stand will take center stage, and its stunning black calligraphy is the star! Adorned with wishes of “Blessings, Light, Faith, Peace, Joy, Longevity and Happiness”, this porcelain piece is perfect for special occasions with loved ones! Classic seasoners get a fresh, modern update with bold calligraphy in our favorite hue. 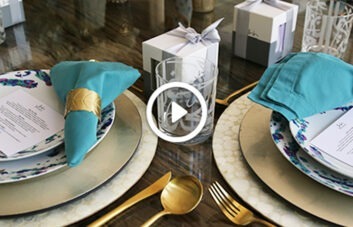 The Tarateesh Salt and Pepper Shakers also make a pocket-friendly hostess gift. 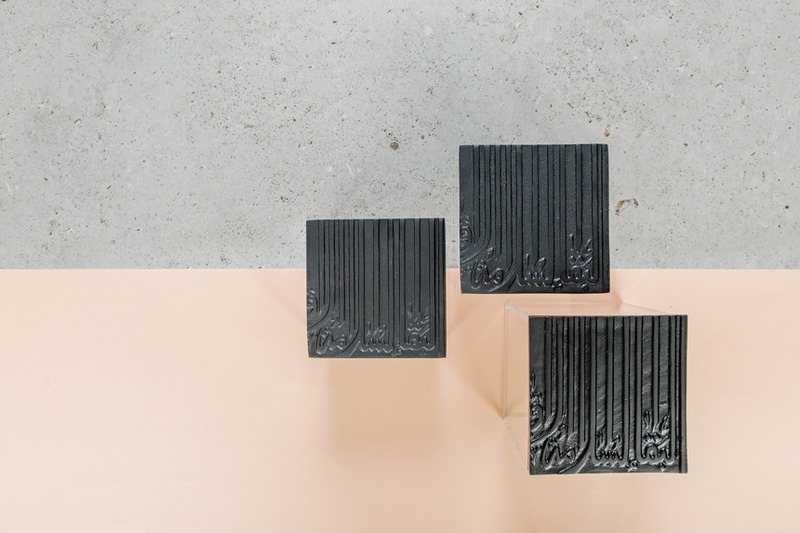 And why stop at black tableware? Black ingredients are a welcome break from the gaudy unicorn food trend. Plus, you’ve probably already tried most of them before. Squid ink? Check. Black beans? Check. Charcoal ice cream? Ok maybe not, but don’t let that put you off – this unusual ingredient is easy to cook with, and we promise it will wow your dinner party guests. So, here is one of our favorite black recipes to get you started – your Instagram feed (and friends) can thank us later! Clean squid tubes and cut into small rice-sized pieces. To make cauliflower puree, chop the cauliflower and place in a pan. Add cream, milk and butter, on a medium heat and cook through. Once cauliflower is soft, strain and blend to a smooth puree consistency. To make the risotto, place squid in a pan on a medium heat, then add fish stock and cook for approximately 30 seconds. Add the cauliflower puree and cook for a further 30 seconds, adding in the squid ink and lemon juice, to taste. Serve and garnish with cauliflower shavings and white borage flowers. Previous PostSilsal Gossip: An interview with Table For Five’s Fathima Mansoor.